Adding a photo to your Gridsite can be done by clicking the Plus, and choosing Take a Photo, Photo Library, or Create Post. Any of these options will allow you to add images to your site! Choosing this option will open your device's camera. Click away and add your shots to your sites! This opens up your device's photo library. There, you chan choose what photos to add. 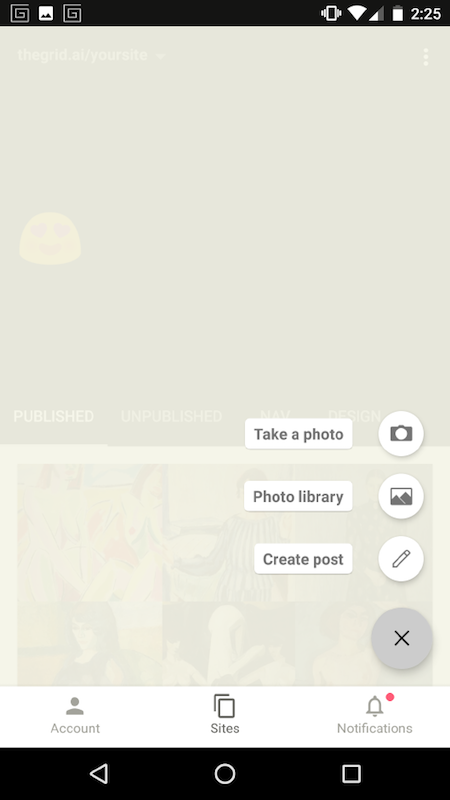 You can also add multiple photos at once, by creating a post. Here, you can click Add Image and upload as many images into one post as you like!